Fans of the new primetime ITV series, Best Walks with a View with Julia Bradbury, are able to follow in Julia’s footsteps by downloading the free digital route guides on the ViewRanger smartphone app. In a UK-first, fans of the new primetime ITV series Best Walks with a View with Julia Bradbury are able to follow in Julia’s footsteps by downloading the free digital route guides on the ViewRanger app. The Outdoor Guide (TOG) – the official website for the series of 8 programmes – has used ViewRanger to create digital guides for the routes walked by Julia throughout the series, and will make them available to download immediately after each episode airs. The family-friendly walks – each less than 10 miles – explore some of the best of Britain’s coastline, mountains and countryside. The first route follows the Anglesey coastline along the Menai Strait overlooking Snowdonia and ends above the beautiful beaches either side of Llanddwyn Island, and it's available to download now via ViewRanger at: http://goo.gl/HHyeM3. It can also be viewed on TOG's platform at: http://goo.gl/bc10yc. Craig Wareham, ViewRanger co-founder, said: "Working with the team at TOG continues to be extremely rewarding and the new digital route guides will help to make the great outdoors more accessible to more people than ever before." 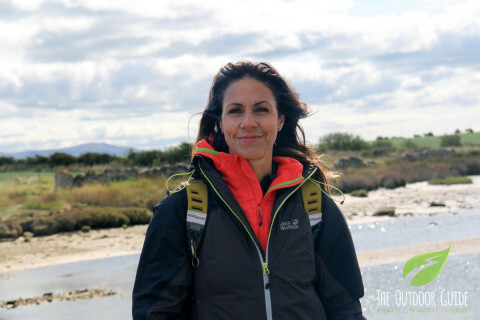 Episode two of Best Walks with a View with Julia Bradbury – which will be aired on 8pm Friday 26th February, ITV – sees Julia visit England's greenest valley, Borrowdale, in the heart of The Lake District. Joined by mountaineering legend, Sir Chris Bonnington, the pair visit one of Julia's favourite fells, Castle Crag, taking in the long views towards Derwent Water and Skiddaw beyond. Craig added: "TOG route guides on ViewRanger can be followed easily with the user's current position displayed on a detailed map while the active navigation system alerts the user if they veer off track. "Photographs, waypoint information, and other helpful content for each of the walks in the ITV series are included within the digital route guides. The guides are designed to be downloaded and stored on a mobile device, so that no mobile network signal is required when navigating along them on a map." ViewRanger can also be used to record walks and other adventures – complete with route statistics and images. Tracked routes can be shared with the ViewRanger community and other friends via social media or email. We'll be sharing the new route each week immediately after each episode airs, so follow us on Twitter and Facebook for instant updates!